Increasing renewable energy use will achieve greater emissions reductions. In June 2014, the U.S. Environmental Protection Agency (EPA) proposed in its Clean Power Plan the first-ever limits on carbon dioxide (CO2) produced by existing power plants. These plants are responsible for nearly 40 percent of total U.S. CO2 emissions, constituting the nation’s largest source of this heat-trapping gas. The plan sets emissions rate reduction targets for the power sector state by state, and it would reduce national electricity sector emissions by an estimated 30 percent below 2005 levels by 2030. However, UCS analysis shows that the Clean Power Plan could deliver much deeper reductions in emissions, especially by taking greater advantage of cost-effective renewable energy options. This brief outlines a better way to make the most of renewable energy in the Clean Power Plan, and to strengthen its state renewable energy targets as the cost of sources such as wind and solar power decline. 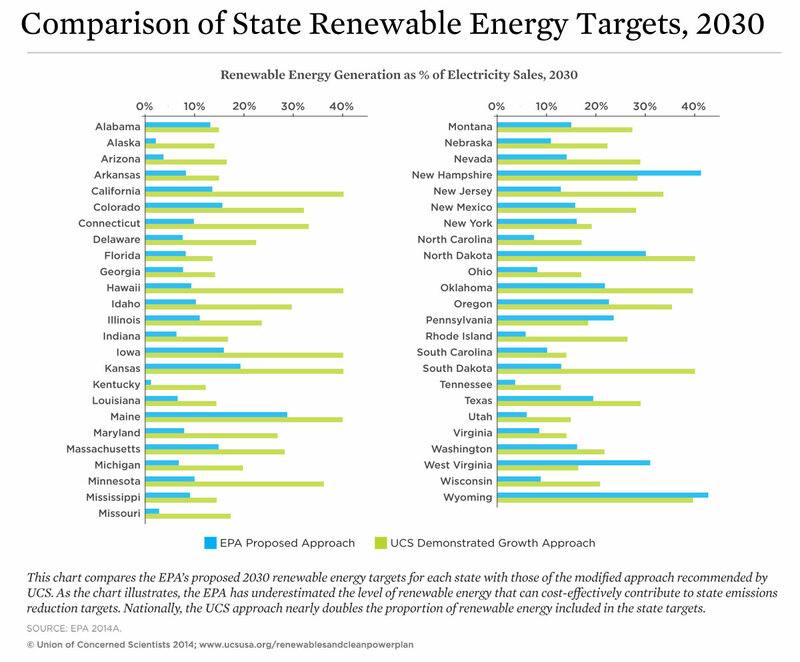 The UCS proposal builds on the EPA’s approach while utilizing the latest available market data, demonstrated rates of growth in renewable energy, and existing state commitments to deploy renewables. Using our recommended modifications, the EPA could nearly double the amount of cost-effective renewable energy in their state targets—from 12 percent of total 2030 U.S. electric sales to 23 percent. 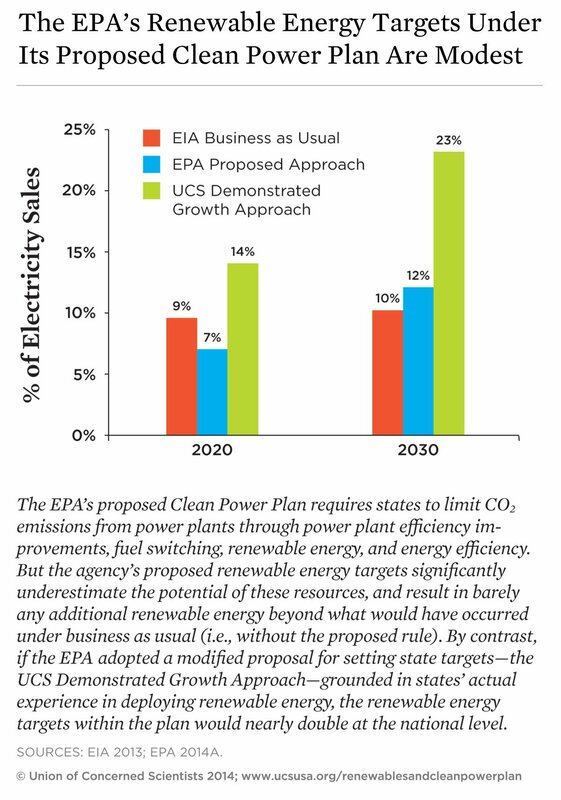 The EPA should adopt a similar approach, and thereby increase the total emissions reductions achieved by the Clean Power Plan from 30 percent below 2005 levels by 2030 to approximately 40 percent.